Information about basin scale climate change is very crucial for utilization, development, and planning of water. The Tapi basin is climatically sensitive. For policymakers, it is important that changes in individual seasons are elucidated. 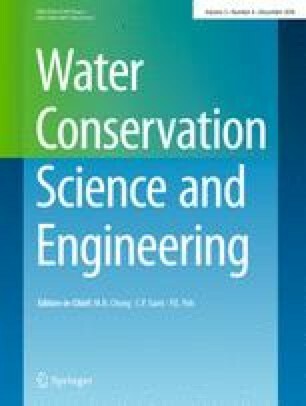 Any earlier study on streamflows of the Tapi basin mentioned in the literature review had not performed trend detection analyses of streamflows of the Tapi basin for four seasons by considering individual month streamflow volume values of given season. Thus, in the present study, trend detection analyses of seasonal streamflow volume time series (1979–2004) of five gauging stations of Tapi basin are carried out for four seasons by considering individual month streamflow volume values of given season. The streamflow data of five gauging stations is selected out of 20 as these are less affected by human activities. Magnitude of trend is assessed by using Sen’s slope (SS) test while statistical significance of trend is assessed by using Mann-Kendall (MK) test and MK with block bootstrapping approach (MKBBS) test for independent and dependent data, respectively. Innovative trend analysis plot and smoothing curve are used for supporting results of trend analysis. The results of the analyses show presence of statistically significant negative trends in winter streamflow volume time series of Burhanpur, Gopalkheda, Lakhpuri, and Yerli gauging stations. Statistically significant negative trends are also detected in pre-monsoon streamflow volume time series of Lakhpuri and Yerli gauging stations. Similarly, statistically significant negative trends are detected in monsoon streamflow volume time series of Gopalkheda and Yerli gauging stations. Statistically significant negative trend is detected in post-monsoon streamflow volume time series of Yerli gauging station as well. The results have shown statistically significant decreasing trends in seasonal streamflows of the gauging station(s) of the Tapi basin.